Whenever Verbier appears in a Tour de Suisse or Tour de France stage I predictably complain that the best part of the climb is above the village/finish. 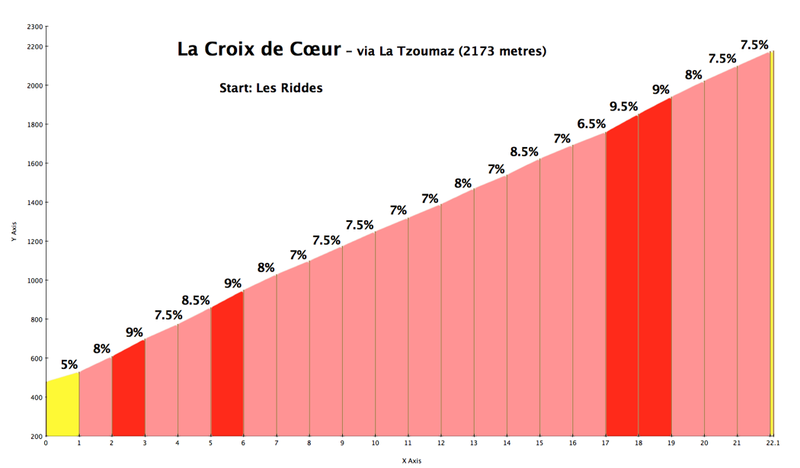 Croix de Cœur is a beautiful high climb that I have done a few times via Verbier – see here. 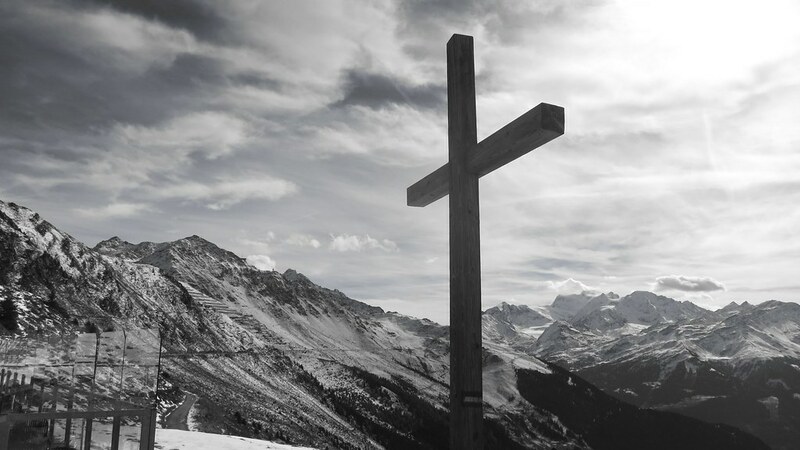 So for something new, I decided to try climbing from the north side, starting low in the Valais and passing through La Tzoumaz – a ski station that links to Verbier. This is a big, tough climb. Roughly 1700 metres of ascent over 22 kilometres. Rarely crazy steep, but never easy. It’s a fairly stead 7-9% the entire way. The first stretch to La Tzoumaz is a wide, well surfaced road. There are 5 tunnels, a few long – not my favourite – but they are wide, lit, Swiss tunnels. It could be worse. 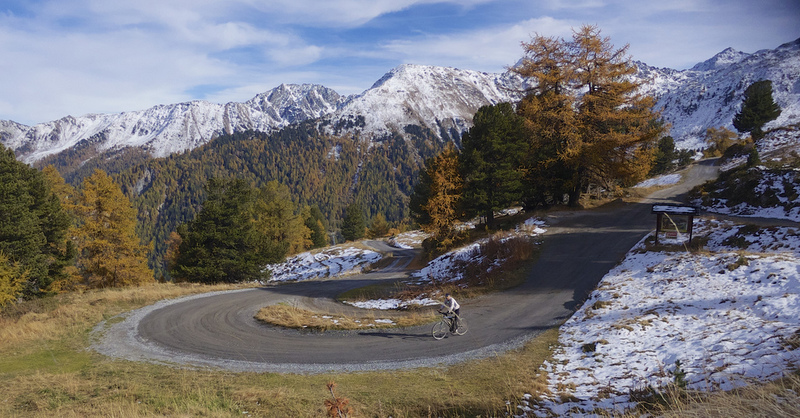 The paved road ends just after La Tzoumaz after roughly 14.5 kms and 1150 metres climb – so it is still a worthwhile exercise by road bike. But from here, the path, though with plenty of paved remnants is basically a good quality dirt road. The road gets fun here as it winds up through the woods, among the ski slopes. As the tree line thinned and I approached 2000 metres the snow line appeared. (pic during descent). At the Summit, just over the other side is a great virtually flat path up high along a ridge overlooking the other – Verbier – side. It’s a fantastic ride. I went for roughly 7 kilometres – and need to explore up higher during a summer in the future. Edit: Here’s a ride where I go far higher, above 2700 metres, great!. There are definitely ways to make this a big loop. 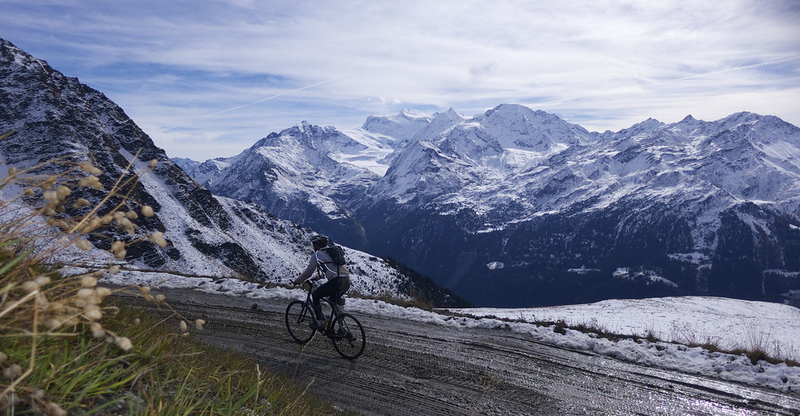 Dropping down into Verbier and returning via Col du Lein, etc. But I was a little short of sunlight and energy. Another time. Highly recommended. The top of the La Tzoumaz side is now paved? Excellent. Thanks for the tip.